ATMs are located at the main terminal of the airport near the lounge/restaurant area. Charging Stations are provided across more than 60 seats of the Concourse C that enable passengers to charge their laptops and other electronic devices. Other AC outlets are located under the seats at the upper concourse. The pre-security seating area is equipped with charging outlets as well. The safety officers of the airport provide Emergency Services. Moreover, the non-emergency services might be received by calling the following phone number: +1 319-731-5722. 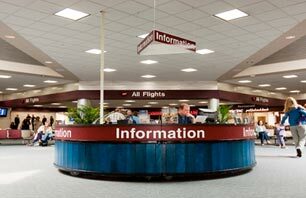 Information Center that is located at the center of the terminal lobby and might be reached via +1 319-362-8336. Wi-Fi is provided on the whole territory of the airport without any limitation or password.